Governor Andrew M. Cuomo today announced the grand opening of the $14.4 million Trolley Station Apartments in Canandaigua, Ontario County. 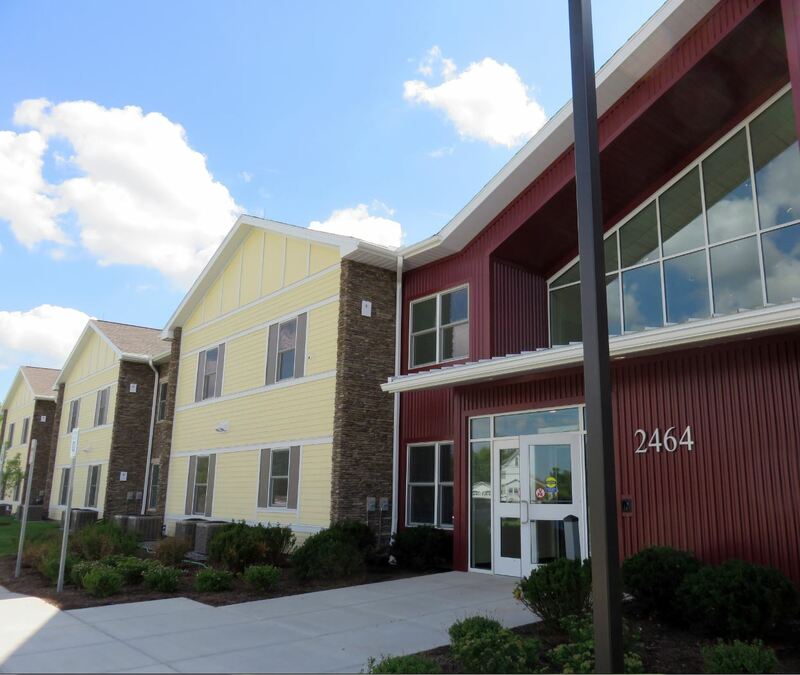 The 48-unit supportive housing development, operated by DePaul Community Services, offers residential based services for low-income individuals and residents with behavioral health issues. "The Trolley Station Apartments will provide some of our most vulnerable New Yorkers in the Finger Lakes a chance to live a life of dignity and independence," said Governor Cuomo. "The completion of this project brings us one step closer to ensuring that every New Yorker has the opportunity to have a safe, decent and affordable place to call home." New York State Office of Mental Health Commissioner Dr. Ann Sullivan said, "Trolley Station is a welcome addition to wide array of services the Office of Mental Health supports in the Finger Lakes. Housing does make a difference. A secure environment with easily accessible behavioral health services can help put individuals on the road to recovery while allowing them to remain involved in the communities they love." New York State Homes and Community Renewal Commissioner James S. Rubin said, "Affordable, supportive housing helps people succeed independently in their communities. 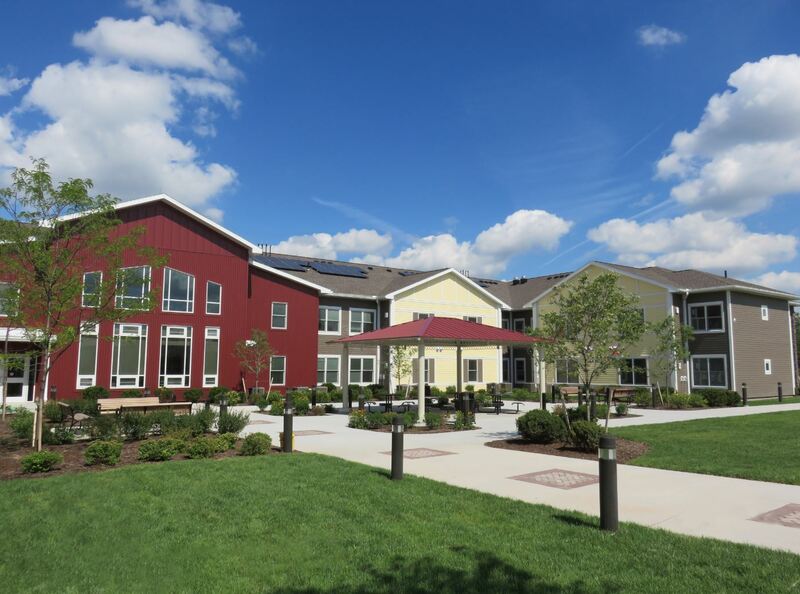 Trolley Station joins other developments like Veterans for Canandaigua and Cadence Square that illustrate Governor Cuomo's commitment to meeting a need for quality homes and services in the area, and HCR happy to celebrate this new housing asset in the Finger Lakes." New York State Energy Research and Development Authority President and CEO John B. Rhodes said, "It is a pleasure to see Trolley Station Apartments join tens of thousands of other homes and buildings in New York State that have added solar energy through Governor Cuomo's NY-Sun initiative. Solar energy protects the environment and creates jobs while supporting Governor Cuomo's Reforming the Energy Vision, a strategy to build an energy system that is clean, resilient and affordable for all New Yorkers." DePaul President Mark H. Fuller said, "DePaul is pleased to be a community partner in meeting the need for quality affordable housing options in Canandaigua and throughout New York State. We wish to thank Governor Cuomo and the State for providing DePaul with the funding that has made this project a reality. We are so proud to be part of the Canandaigua community. The DePaul Trolley Station Apartments are an example of progress and partnership in action." Senator Michael F. Nozzolio said, "Trolley Station Apartments is an important development that will help address the need for safe, affordable housing in Canandaigua and the Finger Lakes. Thank you to Governor Cuomo for supporting this new housing asset in Canandaigua, and congratulations to the residents who will call Trolley Station home." Assembly Minority Leader Brian M. Kolb said, "This is an exciting and important project for Canandaigua and the surrounding community. This endeavor provides modern apartments while offering essential services and programs that improve the quality of life for residents. It's a great example of a public-private partnership that brings lasting and meaningful benefits to our region." Today's announcement accelerates "Finger Lakes Forward," the region's blueprint to generate robust economic growth and community development. The State has already invested more than $3.4 billion in the region since 2012 to support its plan – investing in key industries including photonics, agriculture and food production, and advanced manufacturing. Today, unemployment is down to the lowest levels since before the Great Recession; personal and corporate income taxes are down; and businesses are choosing places like Rochester, Batavia and Canandaigua as a destination to grow and invest in. Now, the region is accelerating Finger Lakes Forward with a $500 million State investment through the Upstate Revitalization Initiative, announced by Governor Cuomo in December 2015. The State's $500 million investment will incentivize private business to invest well over $2.5 billion – and the region's plan, as submitted, projects up to 8,200 new jobs. More information is available here.